Several friends had been to Prague in the past and it’s always in travel guides stating that it’s a city that has to be visited before you die. With EasyJet doing regular, cheap flights from Bristol airport the temptation to visit was too much. 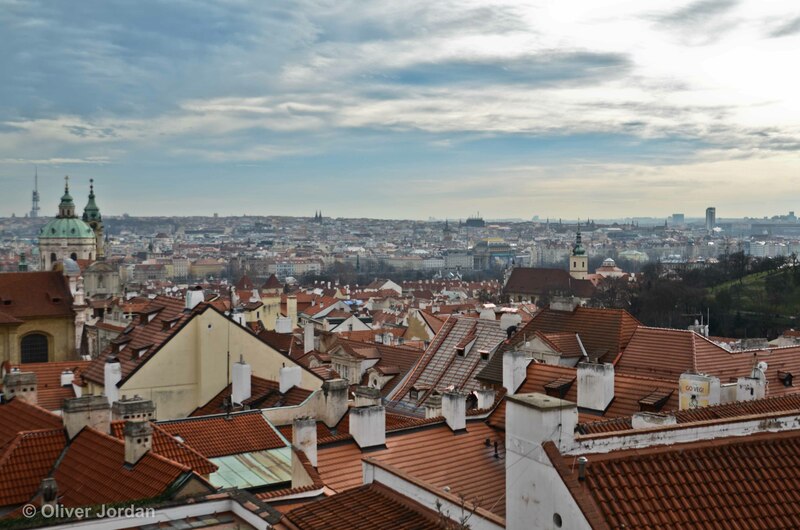 We stayed in the Ibis hotel situated in Praha, Old Town which is around a 30 minute drive from Prague airport and perfectly placed for exploring the city. We arrived in the evening, dumped our bags at the hotel and headed straight out to find something eat. 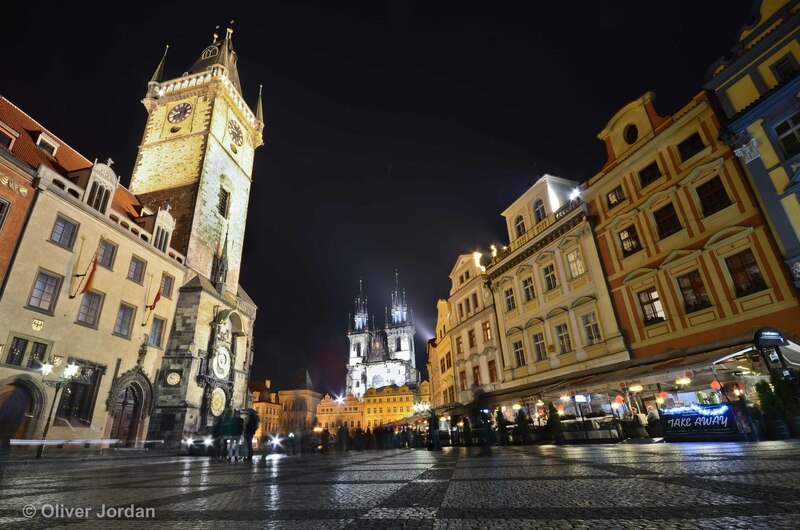 Upon reaching the Old Town Square we were submerged in gothic architecture and buildings that were well decorated and perfectly preserved. It felt like we were in a movie set. There were a large number of restaurants, cafés and bars to choose from. The choice was almost too much and we found it difficult to select a place for food. We eventually settled on a place that served local cuisine but also burgers and chips for the less adventurous. 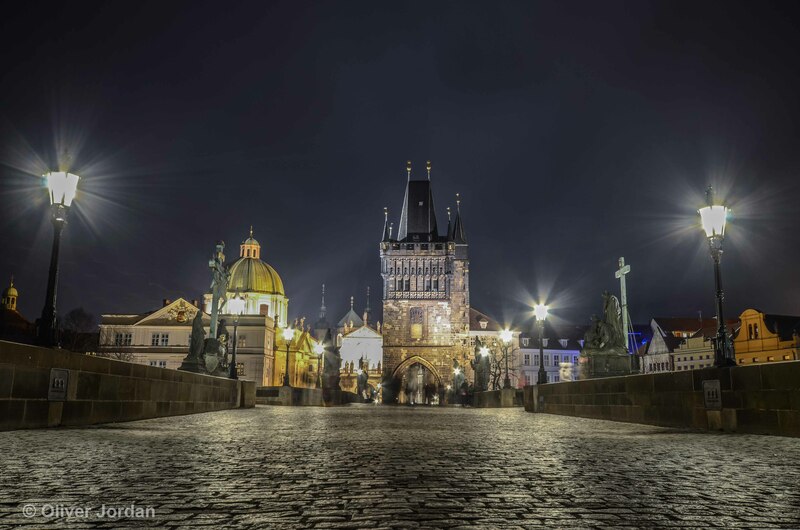 Once we were full and figured out the strange Czech Crown (czk) currency, we left the restaurant and headed towards probably the most famous land mark in Prague, Charles Bridge. 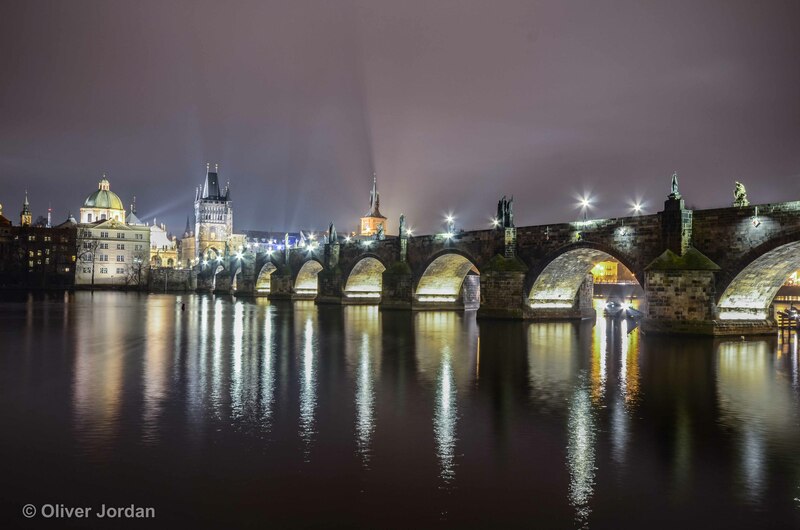 The bridge crosses the Vltava River and connects Prague Castle to the Old Town. The bridge has 30 statues, it’s 621 metres (2,037 ft) long, nearly 10 metres (33 ft) wide and rests on 16 arches shielded by ice guards. It’s protected by three bridge towers, two of them on the Lesser Quarter side and the third one on the Old Town side. It is an absolutely fantastic example of gothic architecture! Tired after a very long day, we headed back to the hotel ready to get some rest. We began the day by eating the continental breakfast which was included in the price of the room. For anyone who’s had a free buffet breakfast whilst traveling, you will know the trick is to eat as much as you can to last you through to dinner. This is the first time we had seen the beautiful city in daylight and it looked just as good as it did on the previous evening. Prague (like any major city) is known for pick-pockets so we kept our wits about us. Around the Square were many companies offering all sorts of tours including Segway, bike and walking. We researched prior to our trip and picked out a good/reliable tour operator that provides walking tours for free. At the end of the tour you pay the guide how much you think it was worth with absolutely no pressure. We booked on the next one which gave us a couple of hours to kill. With this in mind, we headed out for a quick explore on our own before the tour started. There were several touristy things on our list of things to do over the weekend, one being to visit the infamous ‘love lock’ bridge. 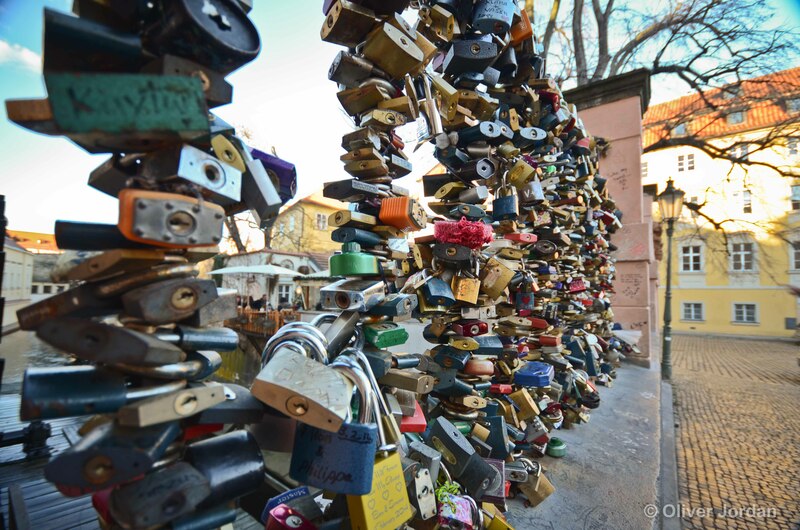 The idea is that couples attach locks to the bridge with their names engraved on the side and chuck the keys into the river below which seals the relationship. 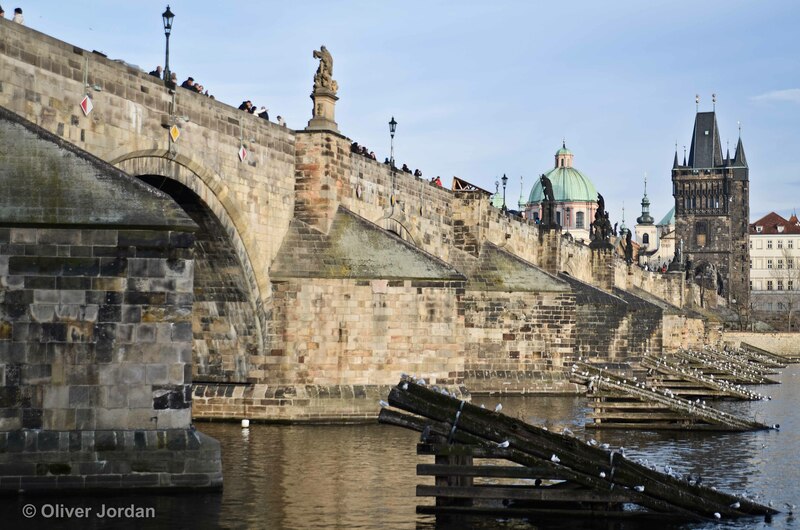 The bridge is a short walk away and includes crossing over Charles Bridge to the Castle side. Time flew taking in the new sights and sounds and it was soon time to head back to the Square. 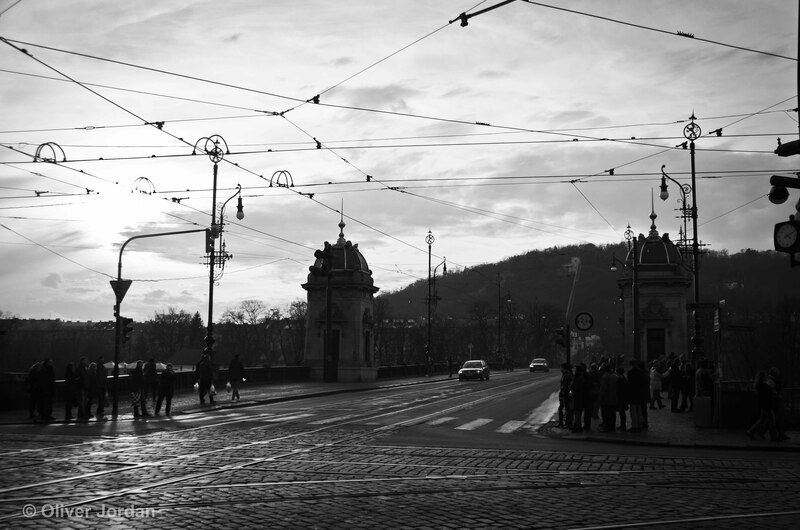 Tramlines at the crossing, Prague. The tour took us around the city visiting every nook and cranny including the Old Town, New Town and Jewish Quarter. Our guide was very knowledgeable about the city and we learnt a lot about Prague, its heritage, the involvement in both World Wars and where to find a nice TGI Friday’s! The tour lasted several hours and we gave the guide a fair amount of czk before heading back towards the hotel to get ready for the evening. 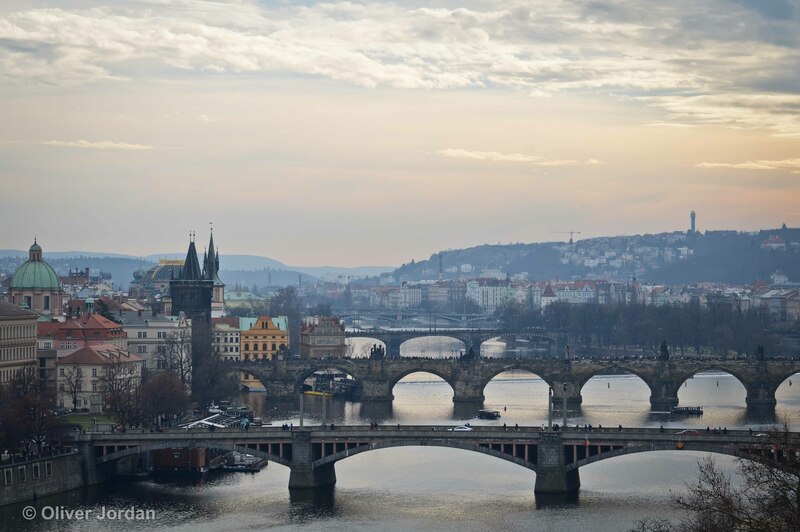 Dawn view from Charles Bridge. Back in England, we are a fan of a good TGI Friday’s so we decided to check out the Czech Republic’s version that we found on the tour to see how it compared. I am happy to confirm that it’s just as good but serves different beer. We went for another night-time wander afterwards to see some of the places we were taken on the tour in a different light. Prague at night is fantastic with fog lights illuminating many different buildings. Where ever you head in Prague, you seem to end up at Charles Bridge. Even if you take the less touristy side roads. The souvenir shops stay open late if you want to buy a bottle of water or fridge magnet. This particular night was very cold and we decided to call it a day and head back to the hotel. View over Prague, from the castle. Another destination on our checklist was to visit Prague Castle. We woke up early to make the trip. Several people had warned us that the hill that leads up to the Castle is very steep and strenuous. We should have paid more attention to this advice! The hill was much steeper and longer than we anticipated, but the views at the top were rewarding. 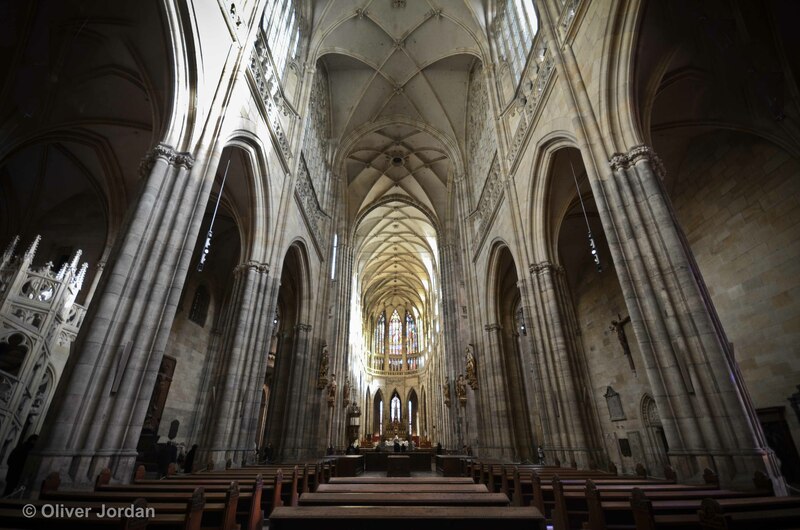 At the centre of the castle lies St. Vitus Cathedral. It was yet again, another stunning example of gothic architecture. It is the biggest and most important church in the country. It’s amazing to think how structures like this could have been created without the use of modern-day machinery and cranes. The castle overall is well worth the walk and entry fee. View from Letná Park, overlooking the Vltava River. 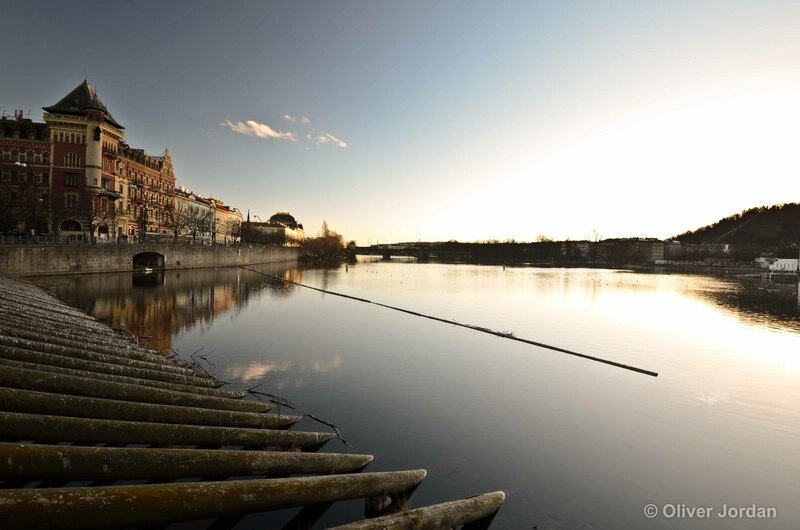 As the sun came down, we took an alternative route back through Letná Park which provided a perfect view of the Vltava River with all the different bridges lined up. 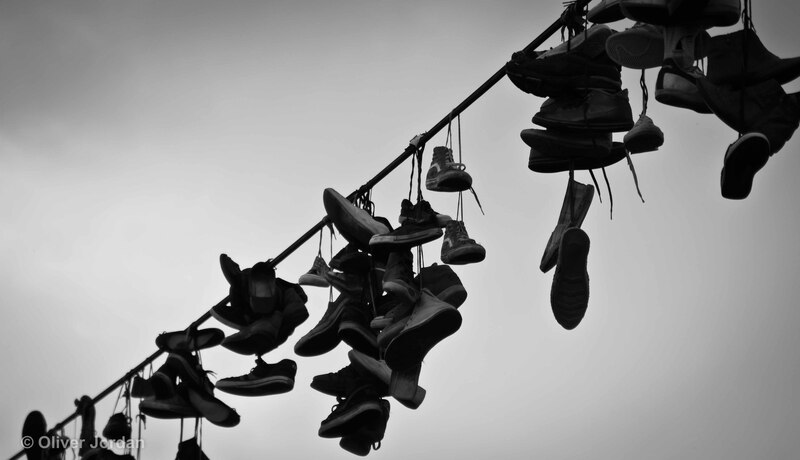 Shoes on a phone cable in Letná Park. We strolled through New Town, visiting some of the designer shops on the way. If you’re a fan of shopping and big designer brands, a visit to the New Town is a must. Finally, we headed back to the hotel for our last night. 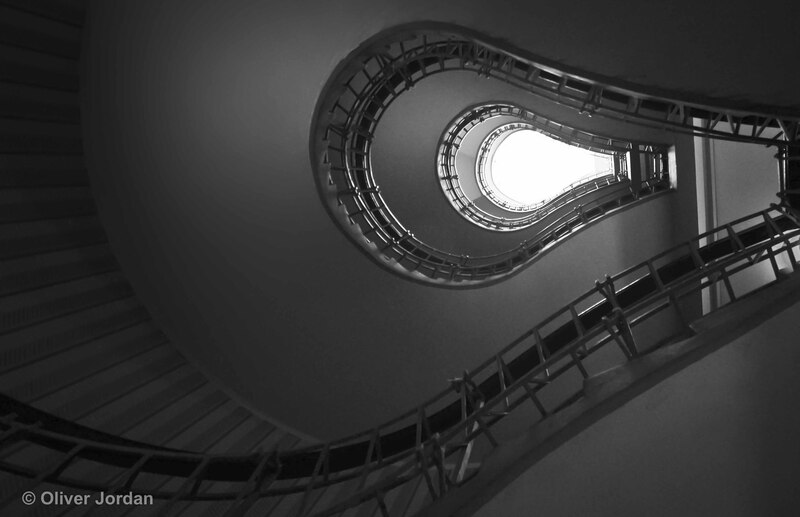 House of the Black Madonna – Lightbulb staircase. On our last day before heading home, we revisited a few of our favourite places along with a few buildings recommended to us by the tour guide. The ‘House of the Black Madonna’ being one of these places. Once again the building did not fail to impress! House of the Black Madonna was built between 1911 and 1912 on the corner of Celetná Street and Ovocný trh. Josef Gočár built the house as the first example of cubist architecture in Prague, and it remains probably the most celebrated. It’s had many uses and started life as a department store but is now a Cubist Museum and Cafe. BEAUTIFUL images! I thoroughly enjoyed this post. 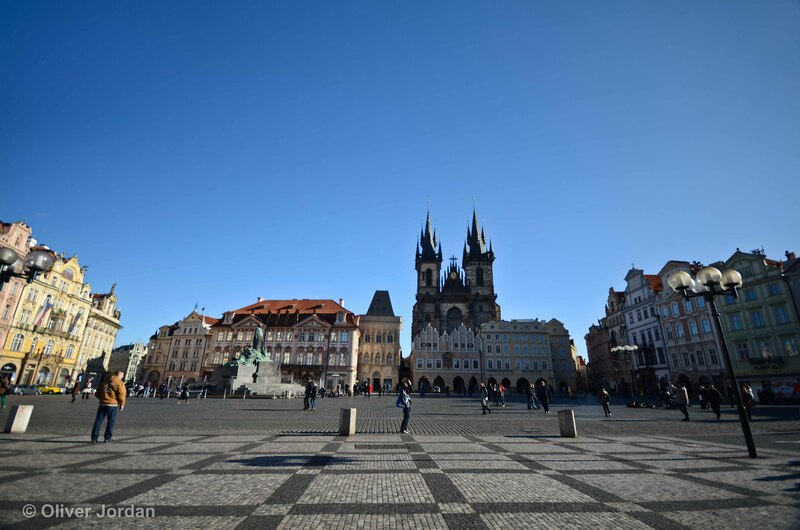 I like Prague, fantastic pictures!